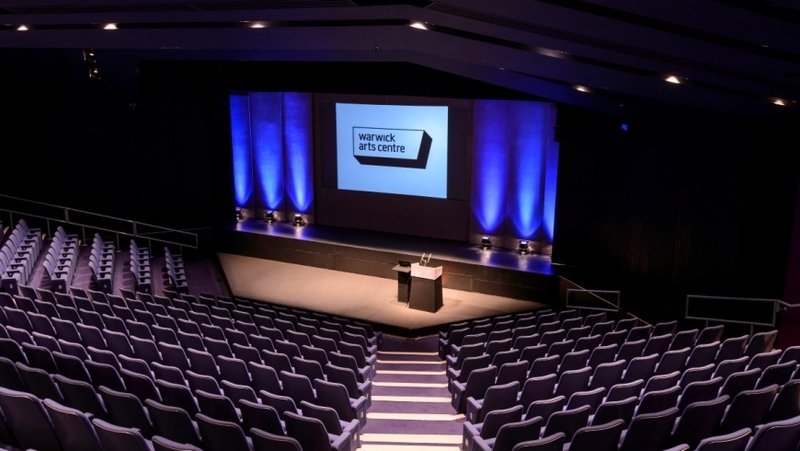 Seating up to 550, audiences are assured of an excellent view of the stage and comfortable seating in this well-designed auditorium. Full lighting sound and AV packages are available for your event. Download floor plan for detailed information on wheelchair spaces, flat floor access, handrails, and the number of steps between rows.